Apple was reportedly going to release a beta version of iOS 10.3 today, January 10, but instead they’ve dropped the third beta for iOS 10.2.1. What’s new in this version, and should you upgrade? 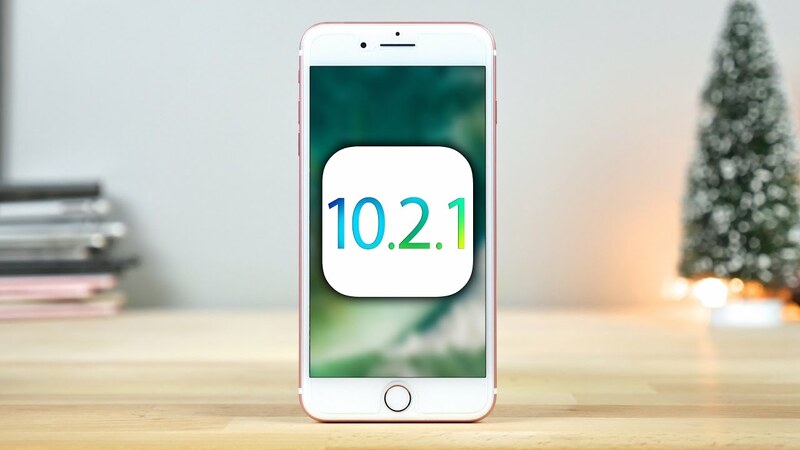 Typically, incremental builds from Apple have had little to offer other than the usual bug fixes and performance improvements, and so far it appears that iOS 10.2.1 isn’t bringing anything new to the table. As for whether or not you should upgrade right away, that depends. Since it’s a developers’ build, you’ll need some dev knowledge in case you come across bugs or other issues. But there are other considerations as well, such as whether or not you intend to jailbreak your device. As of now, there’s a more stable version of Luca Todesco’s Yalu iOS 10.1 – 10.1.1 jailbreak coming very soon. As you can see from the title, Todesco urges people to stay away from iOS 10.2.1 and iOS 10.3 (when it comes) for now. We’ve explained the reasons for that in the other article, so you can review that when you have a moment. So, if you’re waiting on an iOS 10.2 jailbreak for iPhone 7 or 7 Plus, it’s advisable to stay on iOS 10.2 or at least save your shsh2 blobs for iOS 10.2 before upgrading to iOS 10.2.1 or iOS 10.3 when that comes. Since iOS 10.2.1 doesn’t bring anything major to the table, it’s probably better to stay on the stable iOS 10.2 for now. Todesco’s update to the current Yalu jailbreak also brings in some bug fixes from the older beta version, so if you’ve been having trouble getting your iOS 10.x device jailbroken, that’s the update you should be looking for. Whatever the case, please save your iOS 10.2 blobs (APTickets) in preparation for a stable version of the iOS 10.2 jailbreak. Here’s a resource for that. We’re bring you the jailbreak tool as soon as it’s out. For now, please read the article we’ve linked above so you can get ready for the next big jailbreak. Thanks for reading our work! Please bookmark 1redDrop.com to keep tabs on the hottest, most happening tech and business news from around the world.